Posted October 16th, 2014 at 11:06 am. After a summer of demolition that left only the former French tower and dining hall sections of the old Haffner Hall standing, Bryn Mawr’s new dormitory is beginning to rise up on the corner of Merion and Yarrow. 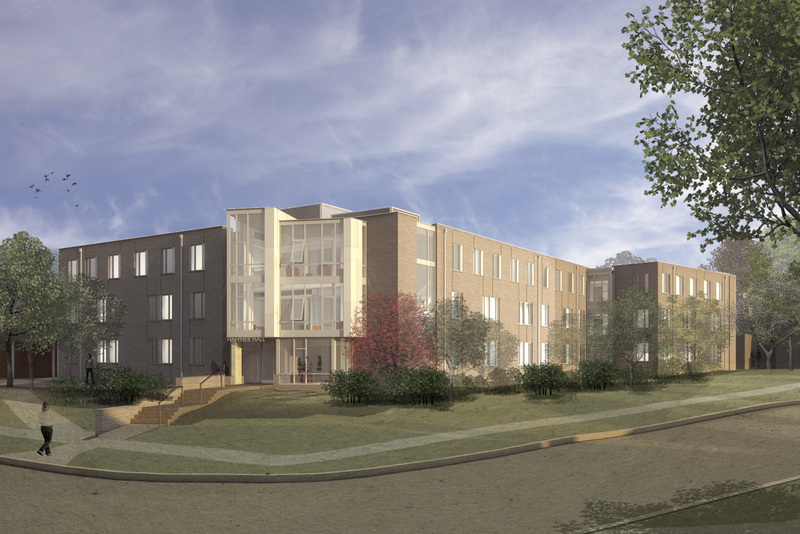 Slated to open for the fall 2015 semester, the new residence hall will be an entirely three-story structure and provide housing for 130 students in 110 singles and 10 double rooms, increasing the hall capacity by more than 50 students. Philadelphia-based Atkin Olshin Schade Architects is working with the College on the building design. 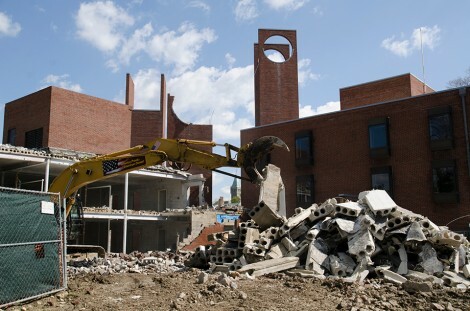 As was outlined in a July 2013 email from President Kim Cassidy, the additional space will make it possible for the College to bring back to campus the students it currently pays to house off campus and to incorporate Perry House programming into the new space. The College will also be able to house more upper-class students in single rooms, thanks to the project. 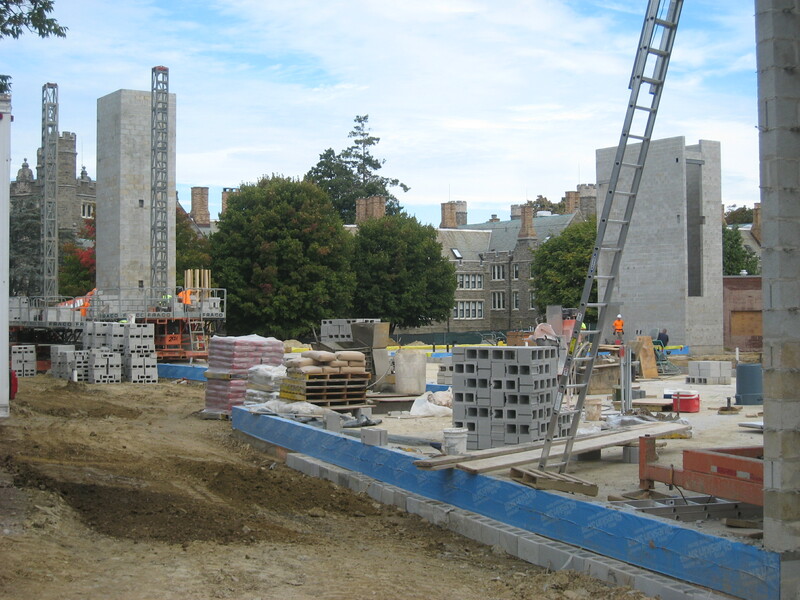 Two large concrete block towers and a single story of wood framing can now be seen on the construction site. The towers are where the emergency stairs and elevator shaft will be located. So far the project is on schedule and within budget. The plan is to have the majority of the framing work done before the cold weather hits so interior work can begin during the winter. To see more images, visit this online gallery.